Sanam Jung is a Pakistani VJ, actress and host. 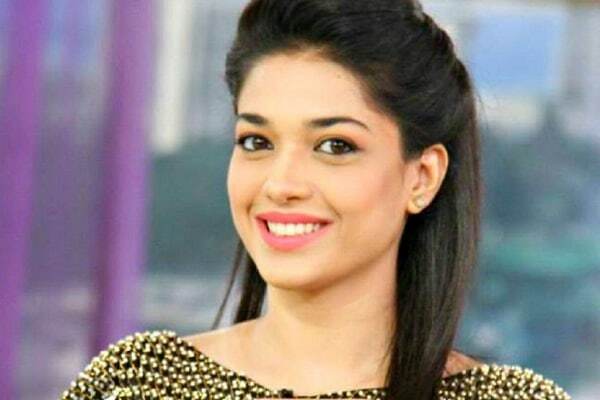 Sanam jung started her career as a VJ and now is known as a morning show host. Sanam became famous for her chiseled features and fluffy hair as well as her unique style of speaking. Sanam Jung was born on 30th September 1988. She lives in Karachi. She has done Masters in Business Administration from University Of Karachi. Sanam jung started her career as a VJ in 2008 on Play TV, during that period she was also doing her BBA. While doing her MBA in 2010 she moved towards AAG TV. Sanam got a big break in her career with her debut drama Dil e Muzter. She played the role of Sila opposite Imran Abbas Naqvi. Audience liked her pair with Imran a lot and she made it to the list of most successful actresses when she was just one drama old. She also got big projects after it. Her next big drama was also with HUM TV. She played the lead role opposite Meekal Zulfiqar and Adeel Hussain. The drama was written by Umera Ahmed. Though the show ran very slow and was dragged a lot since people liked it. It was second time in a row when Sanam played a damsel in distress. Then she did Mere Humdam Mere Dost based on Farhat Ishtiaq’s novel which aired on Urdu 1. She played the lead opposite Adnan Siddiqui whereas Hareem Farooq was the antagonist. It is the only show in her whole career which she had done for a channel other than HUM, though the drama was also produced by Momina Duraid. Then came Alvida which was also opposite Imran Abbas Naqvi and aired on HUM TV. Her co-star Sarah Khan got more appreciation for Alvida but her pair with Imran was again a treat to watch for audience. Sanam jung has started her career as a VJ thus it was her first attempt in showbiz. Later Sanam went back to hosting on HUM TV where her first show was a special transmission with the cast of Zindagi Gulzar Hai which he hosted. HUM TV’s morning show Jago Pakistan Jago was being hosted by Fahad Mustafa at first and he made the show a hit. But he shifted to ARY where he now hosts Pakistan’s most famous game show. The vacant seat went to Sanam and she started hosting Jago Pakistan Jago and has been doing it for some years now. Sanam also hosted two award shows on HUM TV. Sanam has mainly limited herself to hosting morning shows now and has not returned towards dramas after Alvida yet. Sanam has yet to do a film and there is no news of her doing one yet. Sanam jung has three sisters and one brother. Sanam got married on 9th January, 2016. Her husband’s name is Qassam Jaffri and he is a pilot/flight instructor. She had a lavish wedding. She was blessed by Allah with a beautiful daughter in November the same year. Her daughter’s name is Alaya. Sanam gained a lot of weight post giving birth to her daughter but people also came out in her support. Advertisements are very important part of an actor’s career. They are not only a source of revenue for them but also go on to show how successful they are. Sanam however has not done much in this regard and only has one advertisement worth talking. It was for Nestle Everyday Pakistan. Sanam was once rumoured getting engaged to none other than Waqar Zaka but the rumours were soon rubbished as she did not even have met him. It was also a news at one point that Sanam Jung will be doing lead role in Bilal Lashari’s Maula Jutt 2 but it turned out to be false too. Sanam Jung is a VJ turned actor. She joined the media in 2008 as a VJ for Play TV and later moved to AAG TV in 2010. She was born on September 30, 1988. She is 28 years old. 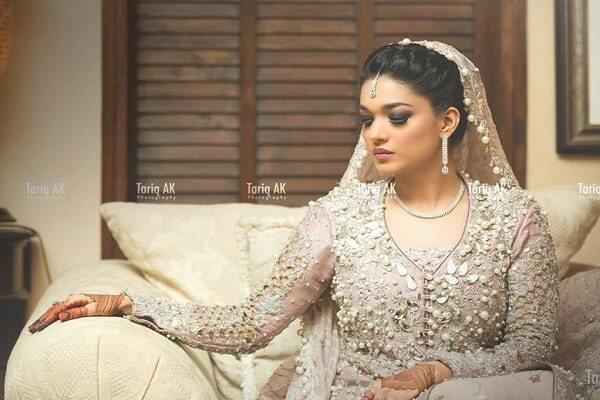 Sanam Jung family hails from Karachi. She has 3 sisters and 1 brother. Sanam Jung completed her BBA and MBA from Institute of Business Management (IBM), Karachi. Sanam jung married to Syed Abdul Qassam Jaffri. He is a pilot. She got married on January 9, 2016. It was a grand affair which the media got the opportunity to cover for her fans and followers. 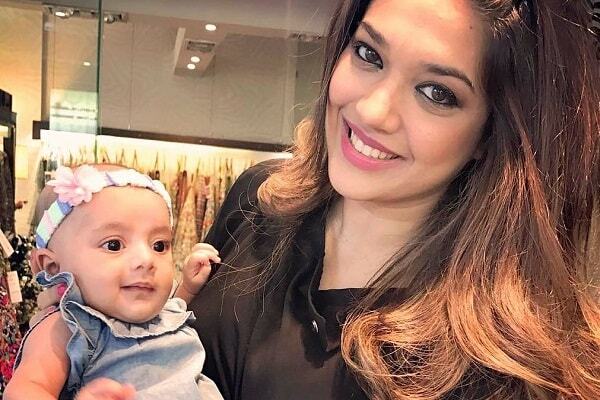 sanam jung has 1 daughter named Aalaya. She was born in November, 2016 and will be turning 1 this year. There is no news of Her future projects. Currently she is hosting a show on HUM TV titled ‘Jago Pakistan Jago’ and she seems dedicated to her show.